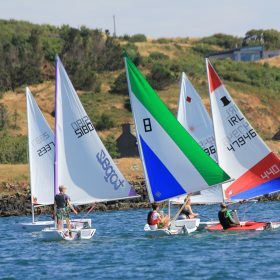 Baltimore Sailing Club has been the biggest supporter of the Baltimore Lifeboat for many years and I am writing on behalf of the coxswain, crew, management and fundraisers to thank you very sincerely for all your support over the years. 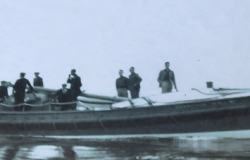 This year is the centenary of the arrival of the first lifeboat to Baltimore the “Shamrock” on the 8th September 1919. There is a program of the planned celebrations outlined below which you can see culminates with a Black Tie Dinner in November so keep your diary free if you would like to attend any or all of the celebrations. On Easter Sunday Catherine Field is organising an Easter Egg Hunt for families with small children. It will start in the village and go to the Beacon and back. The Easter Monday Walk this year is very special on the basis that it’s our centenary we have a once off permission from all of the landowners on a route from Barlogue to the Beacon. This is the most spectacular costal walk on the south coast of Ireland. There is also a shorter walk on the same day from the village to Tralfaska and around the coast to the Beacon and back to the village. There is a map of the route with an application form in PDF format for downloading below. It is essential that anybody intending to join us for this must register, as numbers are limited. Registration Forms are available to download on the link below (please complete and return to by 14 April). Both walks on Easter Monday are not suitable for small children also, as it is farmland no dogs are permitted. 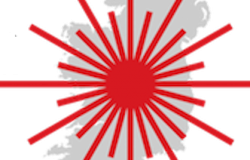 We are asking for a donation of €30.00 per participant and anybody that would like to make a larger donation it will be gratefully received, as all funds will be used for Baltimore Lifeboat. Arrival of the “Shamrock” 8th September 1919. Catherine Field with help from committee is organising an Easter Egg Hunt from Baltimore village to the Beacon and back for children and parents. Declan Tiernan and Charlie Crowley are organising the walks. Sponsored walk from Lough Hyne Car Park to Baltimore village. The route will travel along the coast to the Beacon and finish in the village of Baltimore. This walk is 12km and will take up to 6 hrs. Finishing in Baltimore at approx. 5.00p.m. There will also be a shorter walk from Baltimore village leaving at 1.00p.m to Tralfaska and around the coast to the Beacon and back to Baltimore. This walk should take approx. two and a half hours. It is planned to finish the two walks in Baltimore at 5.00pm. 3. May 5th Centenary Mass at Rath Church for the past and present crews. Open days Lifeboat House with historical photo exhibition and it is proposed to have centenary merchandise for sale over the festival. Baltimore Lifeboat Boathouse will have open days over this event. Baltimore Lifeboat Flag Days will also be held over this weekend. This exhibition will be in Bushes Bar blue room throughout the summer. 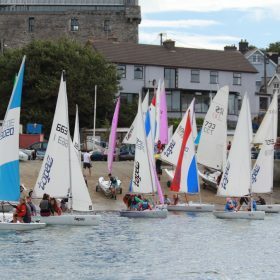 Baltimore Sailing Club will host this fundraising coffee morning at 10.00 a.m. The lifeboat “The Robert” which served on the night of the Fastnet disaster has been restored and will be in Baltimore for the commemoration. This Baltimore Lifeboat was the longest performing rescues boat of the RNLI at the disaster, she remained on continual service for 23 hrs. 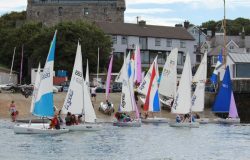 Members of the Royal Ocean Racing Club and Royal Cork Yacht Club will be in attendance for the occasion. And the naming ceremony of the New Atlantic 85 class to the Baltimore Lifeboat Station. This event will take place at the North Pier and Baltimore Sailing Club. Mark Murphy, Dan Riley, Chef Derry Clarke and Sally Ann Clarke with the support of the Baltimore fundraising committee. October Bank Holliday Sunday 27th this event will take place, as it’s so popular with fish supplied by the local fishing boats and preparation by chef Chris Hedges. This event will take place on the 9th November at the West Cork Hotel with music by the seven-piece band “Collage”. Tickets will be on sale later in the summer.